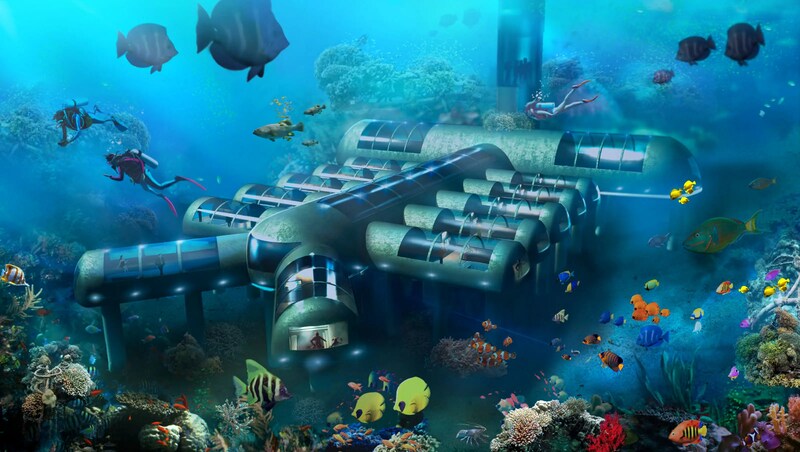 Planet Ocean Underwater HotelPlanet Ocean Underwater Hotel could one day take guests up to 30 feet underwater. Why go scuba diving when you could book your own 18-by-12-foot pod in a hotel room 30 feet under the sea. But the question is that can anyone sleep through the night without worrying !